So I purchased this awhile ago after I saw thatigbochick use it in one of her videos. I already had the e.l.f glitter primer but since I am an impulsive shopaholic, I bought it anyway. Teehee. 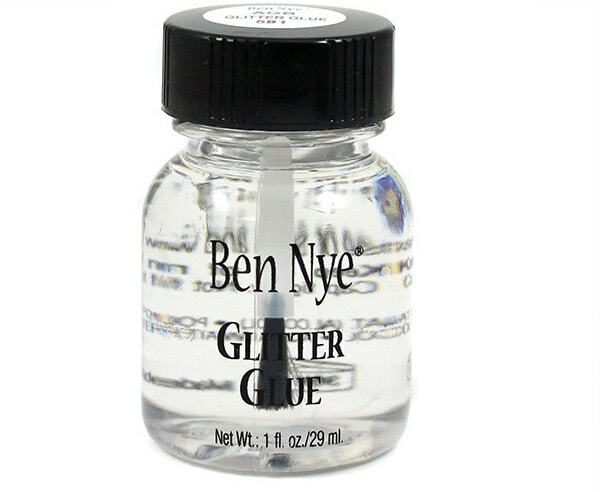 This is a marvelous product because it dries quickly and really causes glitter to adhere to skin nicely. I say skin because it is not only for the lid but for the body as well. It’s clear and has a very runny consistency like water. It comes in a clear bottle which is plastic and has a screw-on cap with a brush attached to it. You get about ml of product for a relatively cheap price. It would take me a long time before it finishes. However, what I noticed on this bottle was that it said "not to be used around the eye area", and I wondered why. Alcohol is a main ingredient here and I found this out the hard way. When I mistakenly placed a little too much of this product on my lid and it got into my eye, it hurt badly. I kid you not when I say, I thought I was gonna go blind. apply very little at a time since it is very runny and place glitter immediately; you can keep repeating this step until you achieve the desired effect. Do I absolutely love this product? Yes. Will I repurchase? Most likely. See you in my next post! Xoxo. DUPE ALERT: Limecrime dupe for N1500!